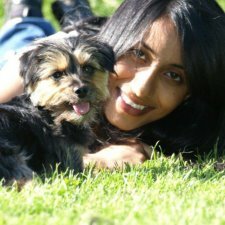 Ami Sekhon is the owner of Cheshire Dog School, which offers dog obedience training, workshops, home visits and much more in Warrington, Cheshire. 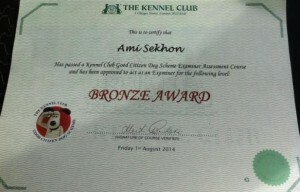 A video in which Ami explains how she started Cheshire Dog School can be viewed here. Ami has been involved in dog training for many years and she also enjoys successfully competing with her own dogs in Agility & other dog sports. Ami is a grade 7 handler, the highest grade achievable in Agility & she competes in Championship classes with her dog Kiri. 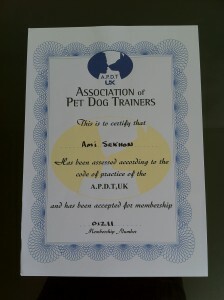 Ami has also gained Association of Pet Dog Trainers (APDT) membership; which is considered the gold standard of dog training accreditation and is recognised worldwide. See Ami’s blog post about it, here. Ami has gained APDT Membership! In September 2016, Ami won the Enterprise Vision Award (EVA) in the “Training and Coaching” category – here is Ami’s blog about that fantastic achievement!) and in 2017 Ami and Cheshire Dog School won the Enterprise Vision Award for Solo Business of the Year! Ami has trained under – and attended seminars and workshops by – some of the top UK and International dog training experts, including the world-renowned Silvia Trkman, Dr. Ian Dunbar, Grisha Stewart and Susan Garrett. Ami also has a First Class Honours degree in Law. As a successful, professional dog trainer, Ami is committed to continuously furthering her knowledge of the latest advancements in adult dog and puppy training, behaviour and “dog obedience”, to ensure clients and their dogs receive first-rate, modern dog training that really works. Ami is a member of the Kennel Club Accreditation Scheme for Instructors in Dog Training and Canine Behaviour, Working Towards Accreditation. This City and Guilds nationally recognised qualification is based on continuous professional development and recognition of knowledge and experience. Dog owners attending Cheshire Dog School classes can be reassured that they are receiving the best quality up-to-date advice and service. She has appeared on TV with her dog and Ami has featured in more than one dog-based magazine article – underlining the fact that she truly is an authority in her field! 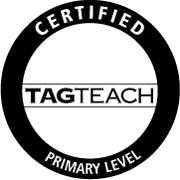 As well as teaching dogs, Ami has Primary Certification in TAGteach, a method of teaching people that makes learning quicker, simpler and helps others retain more information. After all, when it comes down to it Ami trains you to train your dog. Ami believes that the thing that REALLY distinguishes Cheshire Dog School from the rest of the competition is that she actually practices what she preaches – a major reason that clients stay loyal to Cheshire Dog School.